We're getting cheesy up in here. 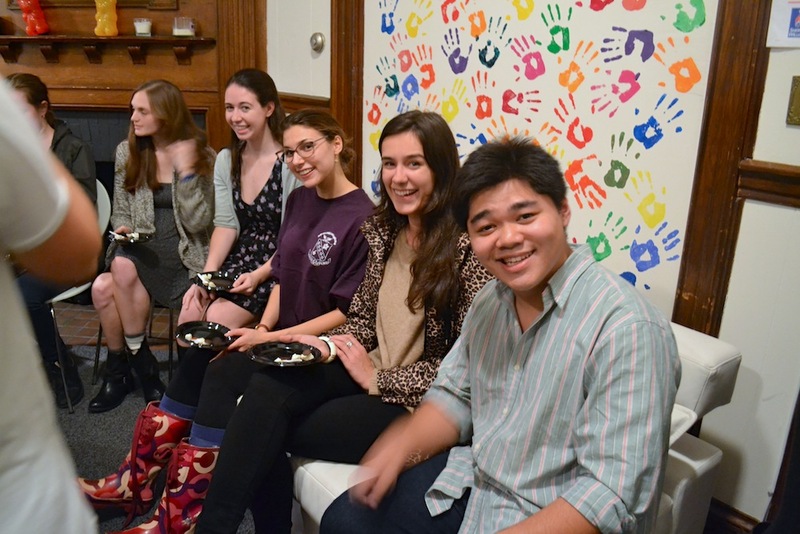 This past Wednesday, October 15th, UPenn Spoon got serious about cheese. We partnered with the South St. Whole Foods Market and were lucky enough to have two of their cheesemongers come and teach us how to pair some French cheeses with flair. There was wine. There was chocolate. There was even goat caramel. 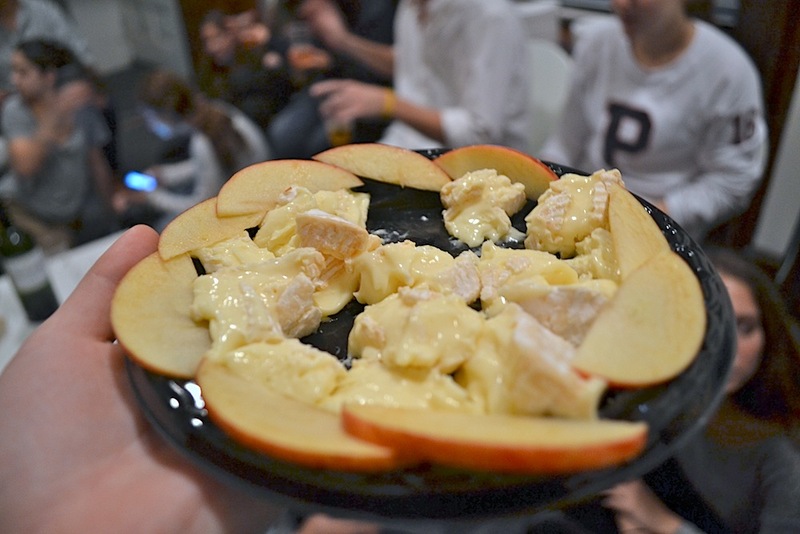 And of course, there was cheese —lots and lots of cheese. 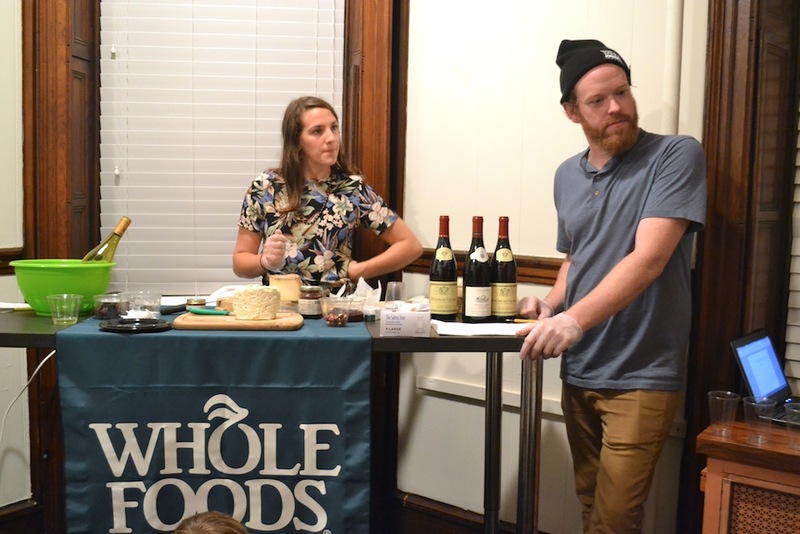 Coby and Lauren, the two resident cheese experts guided as through France via cheese. There were five cheeses all of which were paired with a distinct wine (or in one case cider) and a special accompaniment. The first bite was Boucheron, the first goat cheese that ever came to America. They cleverly served it with a goat caramel (a caramel made from goats milk that is actually unbelievable) a piece of dark chocolate and a citrusy white wine, Vouvray, from the Loire Valley. 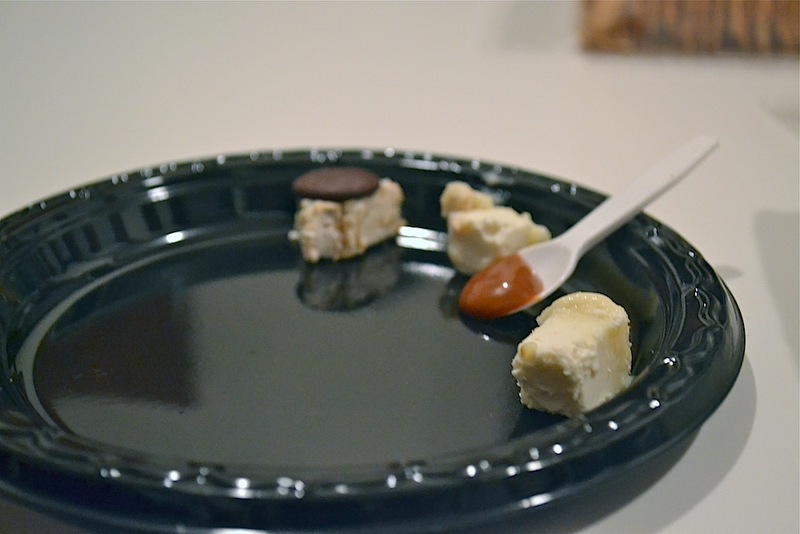 The caramel pairing blew our minds. WHO knew goats could be so versatile? What other goat goods are we missing? 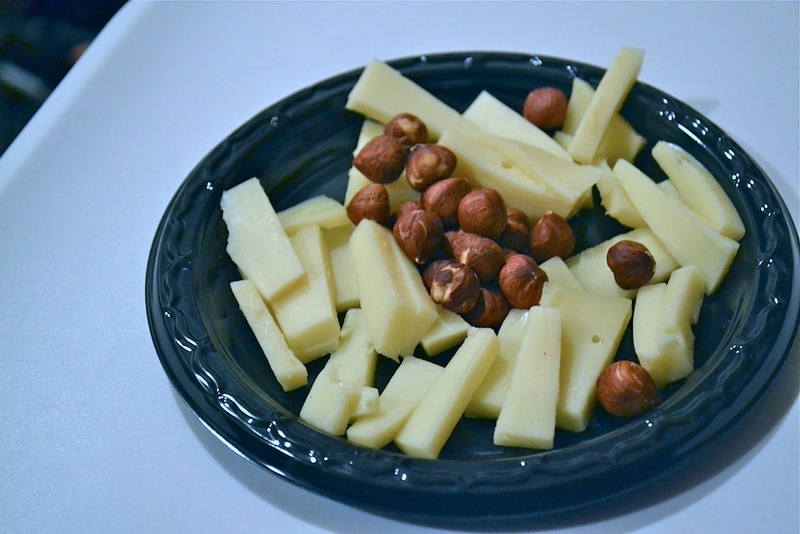 Number two was a cheese called Gabietou, served with hazelnuts and Bordeaux. This one was a pretty mild hard cheese with a nutty flavor enhanced by the hazelnuts. The cheese chiefs told us that people often think a bold wine like a Bordeaux needs a big strong cheese but that it often paris nicely with something on the subtle side. Consider that when you’re planning your next cheese pre-game. Which should be soon by the way, and slip us an invite while you’re at it. Next we tried a classic Camembert. It was runny and smelly and rich and strong —all in a good way. We ate the camembert with apples and washed it down with a dry cider from Normandy. The cider/camembert combo was a winner, as the sweet effervescence of the cider perfectly complemented the intensity of the cheese. Then we tackled Le Chartreux, a hard raw milk cheese. The raw milk gave it some “farmier, plant-like qualities.” By the way, raw milk cheese means that the milk wasn’t pasteurized, or heated to 250°F before being made into cheese. We spread a yummy fruit balsamic compote on this one, nailing that classic fruit and cheese combo. We finished our cheesy evening with a bang. A blue bang to be exact. 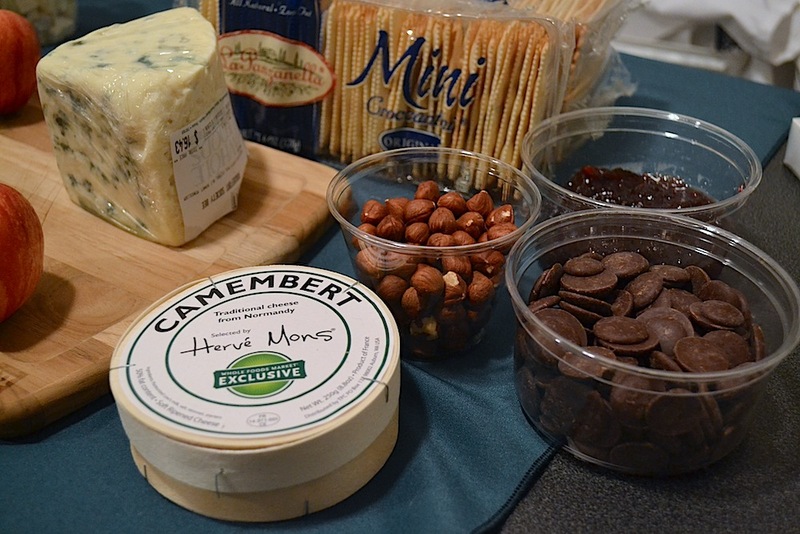 The Roquefort was paired with the compote as well as a red wine called Cotes du Rhone. Blue cheese is one of those things you either love or you hate. We loved. 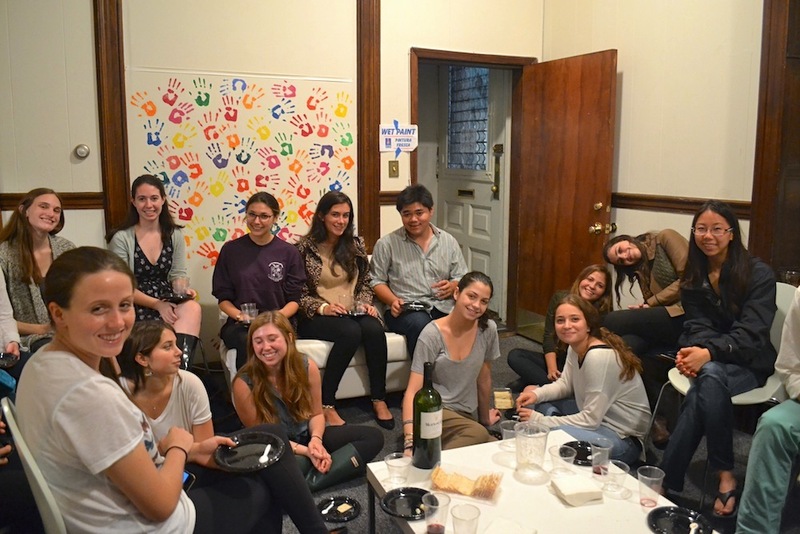 Besides eating cheese, we talked a lot about cooking with cheese. We learned the cheesemonger’s ultimate grilled cheese combo (an alpine cheese like gruyere with caramelized onions) and that if you puree butternut squash with cheese and mix it with pasta you might have the best mac-n-cheese of your life. 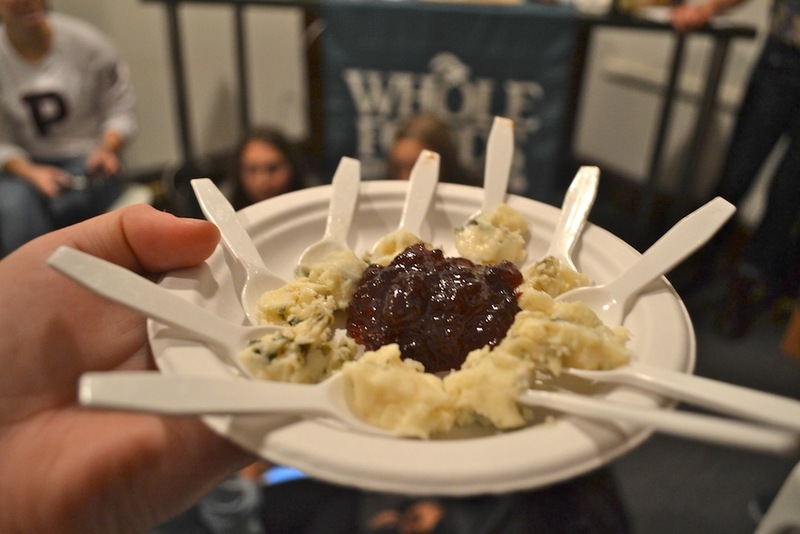 Whole Foods Market does monthly in-store cheese nights that are definitely worth checking out. Stay connected with them on Twitter to learn more, or stop by their store and chat with a cheesemonger yourself. This post was sponsored by Whole Foods Market, a proud Spoon partner.